If you want more intimacy in your marriage, you better find out what it is. Thank you to everyone who took my "What is Intimacy?" poll in the past few weeks. I've digested the answers to date and would like to share them with you, because they point to some suggestions for those seeking to deepen the intimacy in their marriage. In case you missed the last few posts on intimacy, let me catch you up. In Part 1 of this little series on intimacy in marriage "What is Intimacy?" 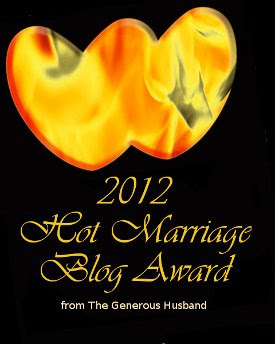 I suggested that intimacy is what matters most in marriage. In fact, I believe that intimacy is the primary purpose and goal of every marriage. In Part 2, I described the Path of Intimacy and the Path of Separation, and the fact that you are on one path or the other. In that post, I also told you that the average survey respondent, regardless of how long they've been married, reported only being "somewhat satisfied" with the level of intimacy they have with their spouse. Let's dig a little deeper into this intimacy question. 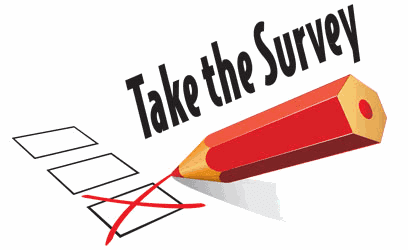 There is a definite satisfaction gap between the husbands and the wives who took my survey. The percentage of those reporting dissatisfaction (mostly or completely) were similar, at 16% for men and 15% for women. However, there were a lot fewer wives (43%) compared to husbands (61%) who were mostly or completely satisfied with their current level of intimacy. This difference translated to a similar, but opposite difference in those only somewhat satisfied or somewhat dissatisfied, labeled as the "middle group" in the chart above. So what might explain this male/female difference? Lets look at how men and women answered the question, "What is Intimacy?" Of those in the satisfied and middle group, both men and women used words like "closeness," "oneness" and "connected" to describe intimacy (54% of husbands and 44% of wives). However, in the same two groups, wives overwhelming referred more often to things like transparency, vulnerability, trust and safety when describing intimacy (53% of wives compared to only 8% of husbands). A stunning difference! Bottom line: a wife will be less satisfied with marital intimacy unless it includes genuinely knowing each other at a deep level. It is no surprise, I suppose, that men, who are often less inclined to divulge and discuss their feelings, place a lower value on such aspects of intimacy. But they do so at the cost of their wives the satisfaction of true intimacy on their terms. The main question of the survey was an open-ended, free-form question, but I made an attempt to classify the answers into groups, as indicated in the chart below. There was a surprising amount of commonality. Physical intimacy was included in more responses than any other (46%), followed by emotional (39%) then spiritual (32%). I separately noted those who included all 3 as well (28%). Tied for most common answer, at 46%, was some variation of oneness. Similar words put into this group of answers were, "closeness" and "connection." Some form of vulnerability was mentioned by 42% of respondents. Similar words included here are being "transparent," "honesty" and "openness." These responses often included the notion of not being judged and being accepted and loved, regardless of what is revealed. Coming in at under 10% each were spending time together, being aware and tuned-in to each other, and meeting each others' needs. Does all this tell us what true intimacy is? Not really. Yet, my definition isn't what matters. What matters is what you and your spouse think intimacy is. Whether you agree with me about the importance of intimacy to your marriage, chances are better than not that you aren't experiences all the intimacy you want with your spouse. If you are after more intimacy, then you need to be pretty sure you know what it is. And as I said, you need to know what it is to you, and more importantly, to your spouse. So ask him or her. Ask, "What is intimacy to you?" Listen. Really listen. 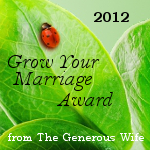 Chances are there will be some ways in which your idea of intimacy differs from your spouse. That's okay. It's important to understand where you differ. But most important and most helpful of all is to ask a follow up question: "What can I do to help us experience a deeper level of the kind of intimacy you desire?" Then be intentional about doing those things on a regular basis. If you want more intimacy in your marriage, you are going to have to do some things differently than you've been doing them. Next time we'll take a look at the differences between satisfied and dissatisfied couples when it comes to how they describe intimacy. Theses differences offer some good insight as to where we might look for deepening intimacy. In the mean time, I've got a great new intimacy-building resource available called "Intimate Connections for Couples." 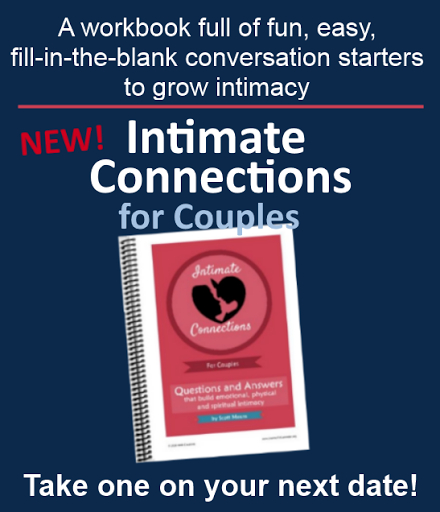 Get the workbook now on my Amazon storefront and start using the conversation starting questions to move your marriage down the Path of Intimacy. Thanks for your comment Robyn. I was rather surprised that more sexually dissatisfied husbands didn't show up in the results to balance out the emotionally dissatisfied wives. Not a scientific finding, of course, but still interesting.